M.C. Escher's art, with its exatrordinary manipulation of space, time, and perspective, becomes ever more popular and sought after, but the man himself had remained remote, even enigmatic. Here, at last, is a full-fledged biography as well as a complete record of his graphic work. 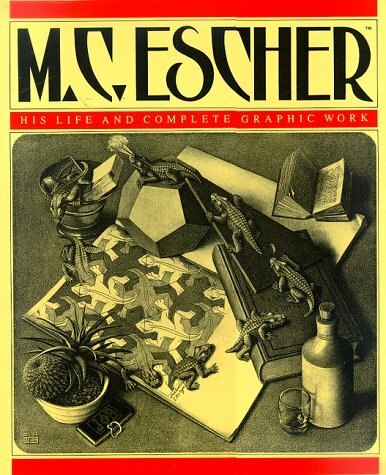 Since Escher's death in 1972, at the age of seventy-three, much previously unpublished material has become available to his biographers, who have put it to good use. The story of the artist's life is told here with the help of virtually his entire correspondence, the journals of his travels, and, to supply the facts about his youthful years, the journals kept by his father. The book also contains a comprehensive catalogue of Escher's graphic work, with descriptions of and much additional information about some 450 prints, a large number of which are unknown or rarely reproduced. The 600 illustrations will provide endless hours of enjoyment for both Escher devotees and those encountering his work for the first time. The complete tekst of 'Regelmatige vlak verdeling (The Regular Division of the Plane)', the book Escher wrote and illustrated in 1957 for the De Roos Foundation, is also included here, along with an extensive bibliography and an index.